Topps currently have an exhibition at the Louisville Slugger Museum "Pop Culture: Home Runs To Hollywood" which has displays of all things Topps. 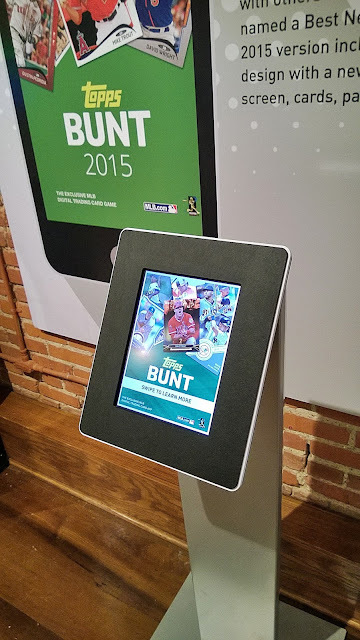 As the title suggests the featured cards are mainly pop culture releases with some baseball sprinkled in. 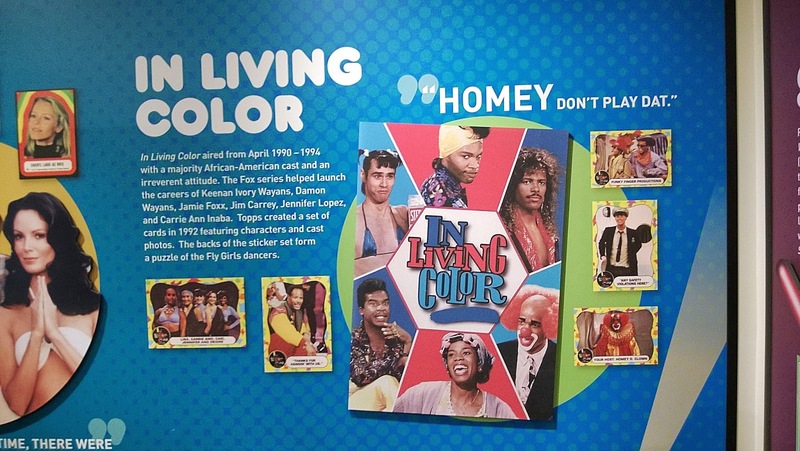 The exhibit opened in March and runs through October 4th, 2015. 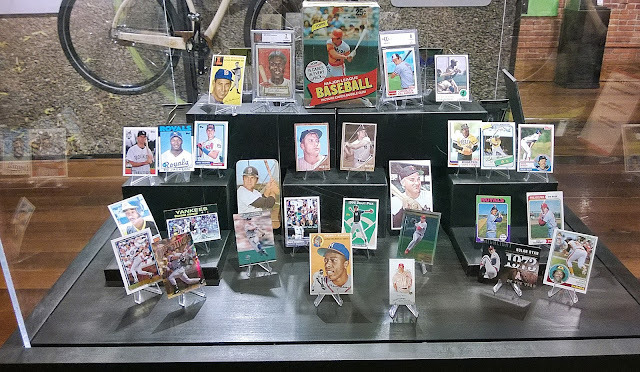 The old expression goes "you've got to dance with the one that brung ya" and so the first display has some memorable classic cards like a graded 1952 Jackie Robinson and a 1954 Hank Aaron...but really all I could think of was "GET PENNY SLEEVES ON THOSE F**KING CARDS!" 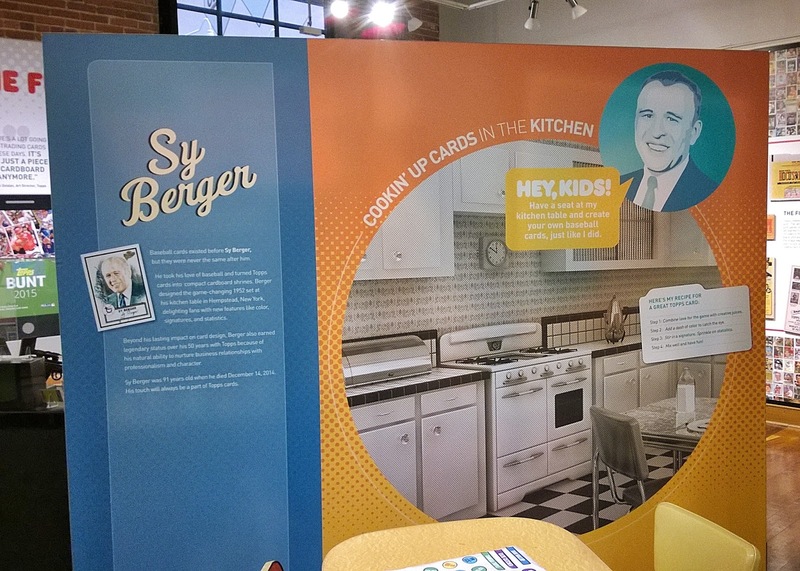 There was also a touching display to the late Sy Berger, the Stan Lee of baseball cards, who passed away last December. 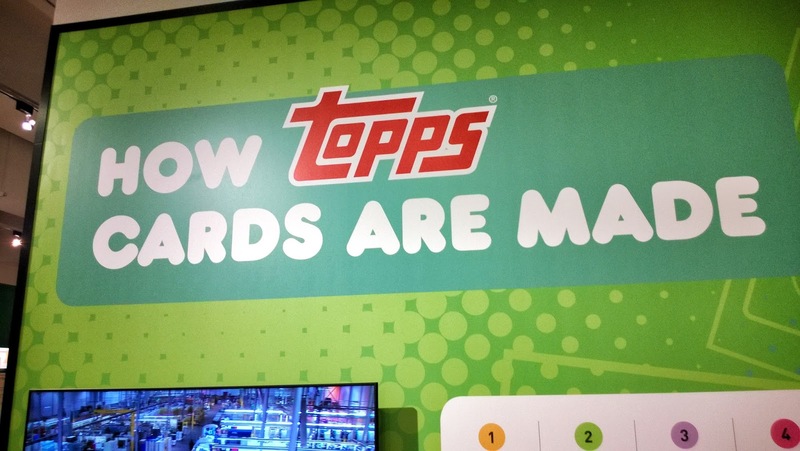 As a critic of all things sports cards and damn nearly everything made by Topps, it was nice to be able to finally understand how Topps cards are made! Here's the seven step process they use. 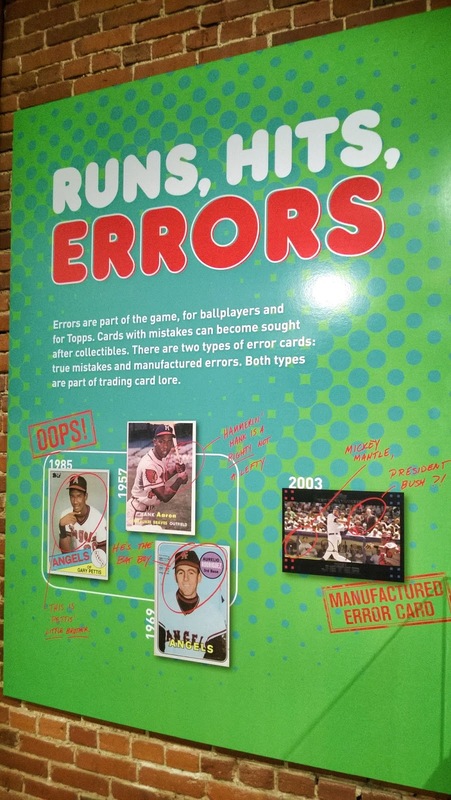 There was also an amusing poster highlighting error cards Topps issued. I noticed one of the cards highlighted was the infamous George Bush behind Derek Jeter card from 2007 Topps was included and as we all know that "error" card was intentional. Some might even call it a "gimmick card." 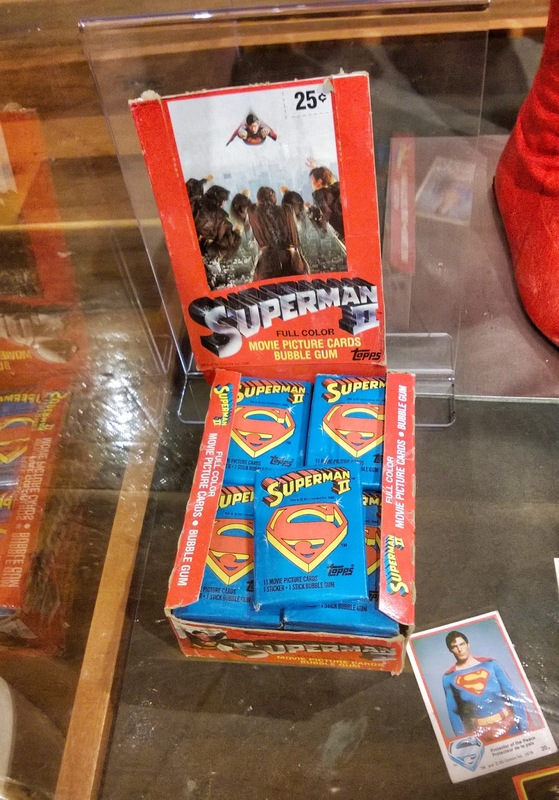 But no, they are actually "manufactured error card" so Stale Gum you're on notice! 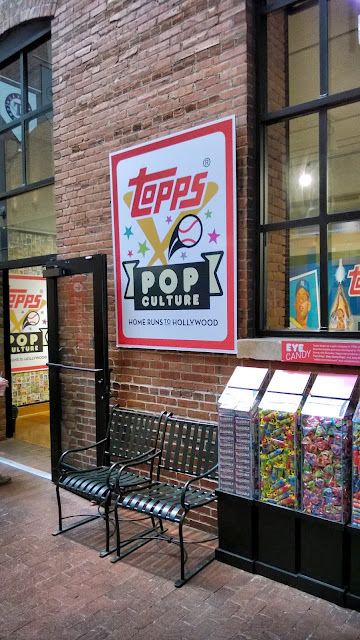 And also, I sure hope Topps is having a laugh by labeling the Derek Jeter card as being from 2003 instead of 2007. 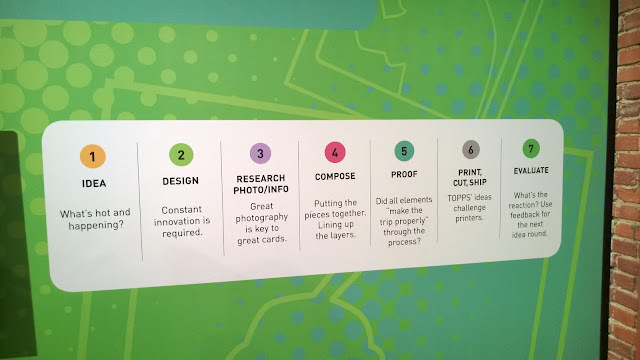 An error on the error card display? 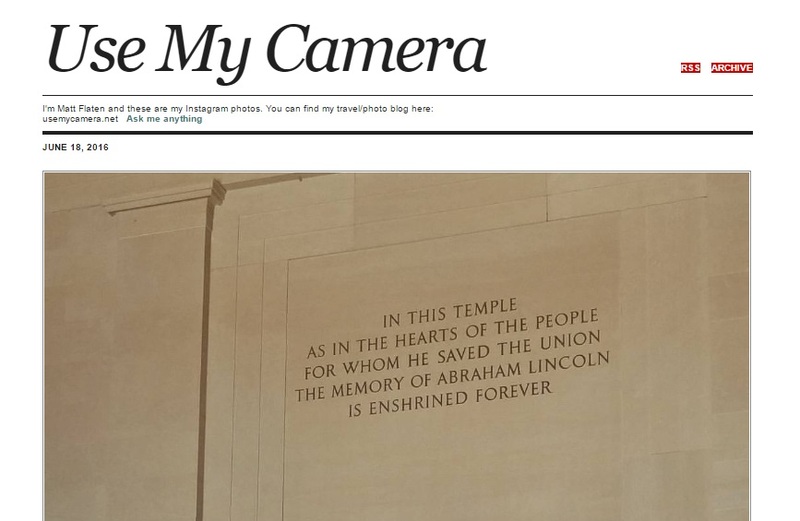 It's just to right on the nose. But now let's get down to the pop culture stuff! I knew Topps had this exhibition going on before going to the museum but I didn't know specifically what was there. 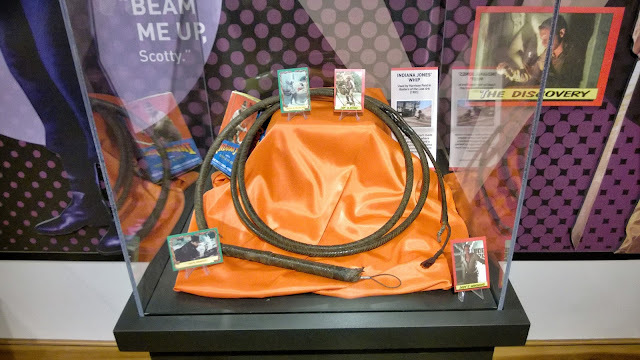 I had no idea how much much cool and interesting stuff they would have like for instance Indian Jones' bull whip! 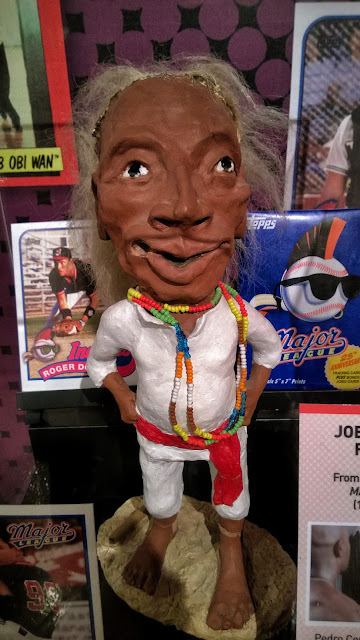 And as I highlighted in my first museum post they had the original prop of Jobu from Major League that helped the Indians win the pennant. Topps made In Living Color cards in case you didn't know/forgot! 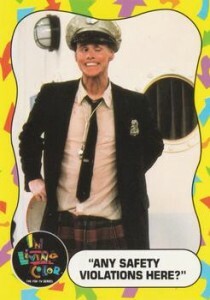 Be sure to track down that Jim Carrey rookie card! Christopher Reeve's Superman costume was also on display and I was struck by how thin and fragile the fabric was. 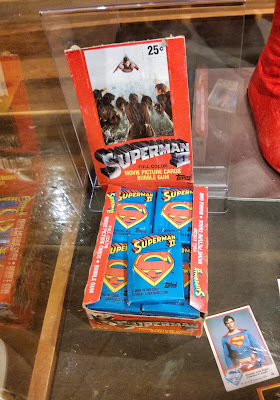 They also had a box of unopened packs of the 1980 Topps Superman 2 set. 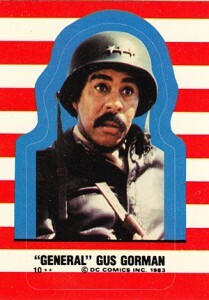 I say forget that set and go straight to Superman III to get your Richard Pryor rookie card! 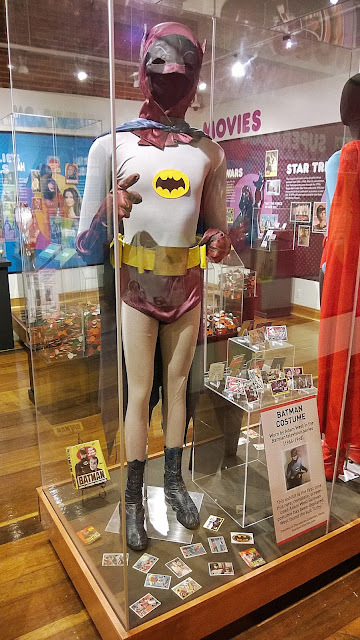 But by far my favorite piece was this Adam West Batman costume that has never been on display before. 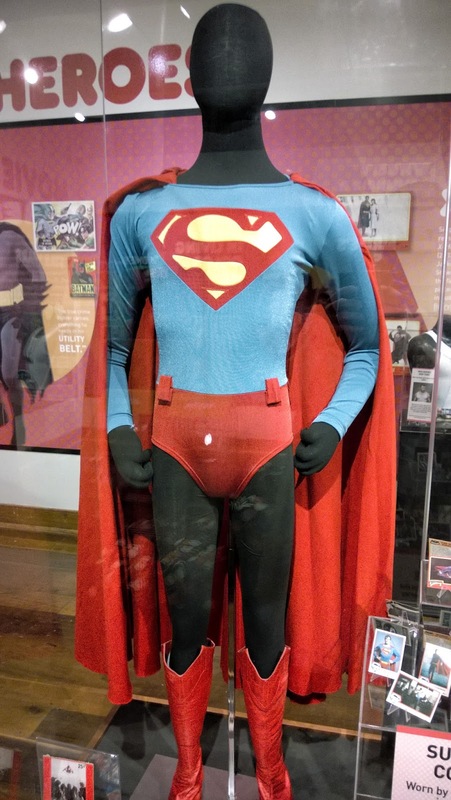 I'll have to go back a watch some those great episodes and see if his cowl was really that purple or if it has faded over the years.